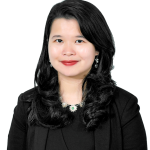 Senior Analyst Tien Tran has worked at the BowerGroupAsia Vietnam office since 2013, as a researcher in policy and market development. In addition to serving as the focal point in nurturing a working relationship with government authorities, Tien works on communications and media activities and helps develop a communication strategy in various industries. Prior to joining BGA, Tien worked for several international and national non-governmental organizations. She was project assistant for the Canadian Chamber of Commerce in Vietnam, in charge of network development and media relations. Prior to this, she worked as communication assistant in the Spark Center for Social Entrepreneurship Development, Vietnam. Tien was the fundraiser for the Barnardos Children’s Charity in Ireland in 2017. In the same year, she was part of an international team that represented the University College Dublin (UCD) Michael Smurfit Graduate Business School at the Harvard National Model United Nations in Boston, Massachusetts. She was also a co-founder of CineVans, a mobile film project that brought to the public interesting films produced by students at the Vietnam Cinema Association’s Centre for Assistance and Development of Movie Talents. Tien holds a master’s degree from UCD Michael Smurfit Graduate Business School in Ireland, where she studied with an Irish Aid IDEAS Scholarship awarded by the Irish government in 2016, and a bachelor’s degree from the Academy of Journalism and Communications in Vietnam.